Small and cozy studio for 3 persons, renovated in 2013, is situated in a 10-minute walk from the beach on a second floor of a 5-storeyed building. The room is furnished with large wooden bed with orthopaedic matrass, convertible armchair-bed, designed in original Bulgarian style. 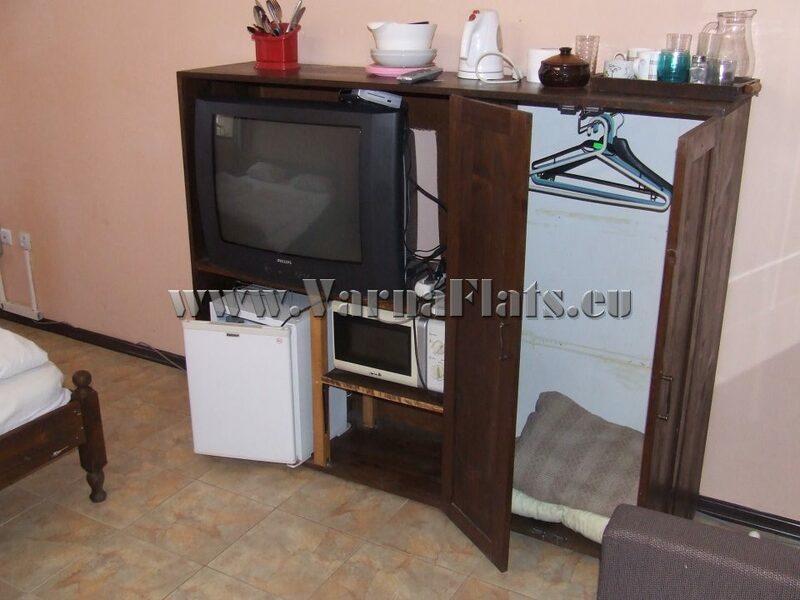 The studio is equipped with wardrobe, microwave, set of dishes, absorption mini-refrigerator, cable TV (140 channels, 10 of them – Russian, English etc. ), air conditioning, and free wired and wireless Internet. Separate bathroom and lavatory. 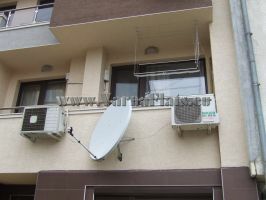 The studio is situated in a 5-minute walk from Asparukhov beach, big park, kiddie rides, supermarkets, shops, and bus stop. The parking area is nearby. 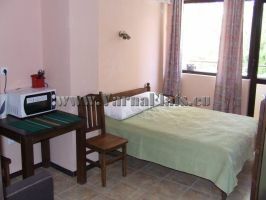 The price depends on the season and duration of the reservation, varying from 10 to 20 € per day.